Taught by Professor John Long, Ph.D. 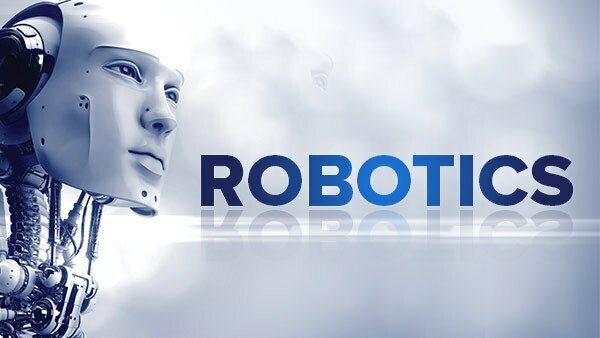 Investigate the fascinating field of modern robotics in 24 lectures by a brilliant roboticist. 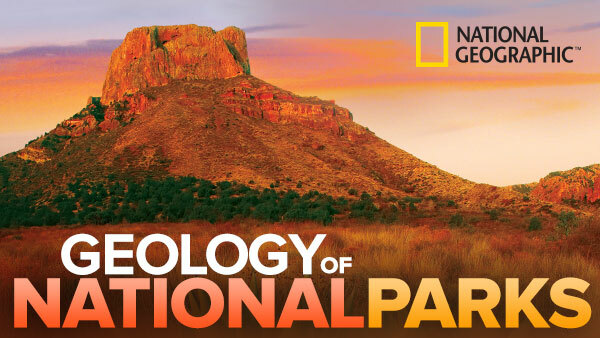 From Yellowstone to the Everglades, join geologist and National Geographic director Ford Cochran on a fascinating scientific tour of all of America's national parks. 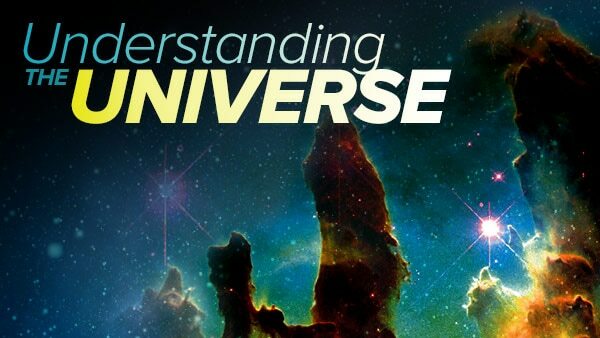 Get a comprehensive overview of the grandest of all subjects—the universe—in this brilliant and fascinating course taught by one of America's foremost astronomers. Taught by Professor Benjamin Schumacher, Ph.D. 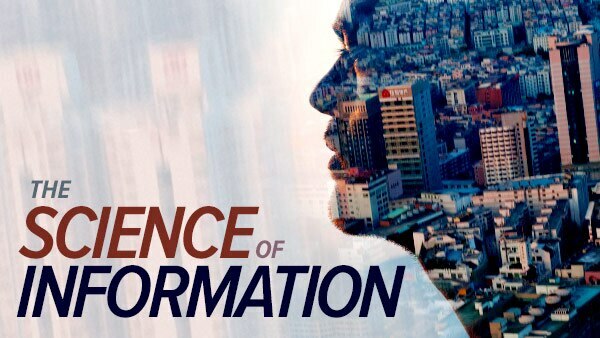 Explore the exciting concepts, history, and applications of information theory in 24 challenging and eye-opening half-hour lectures taught by a world-renowned physicist. Dr. Alex Filippenko is Professor of Astronomy and the Richard and Rhoda Goldman Distinguished Professor in the Physical Sciences at the University of California, Berkeley. He earned his B.A. in Physics from the University of California, Santa Barbara, and his Ph.D. in Astronomy from the California Institute of Technology. Dr. Filippenko's research accomplishments, documented in more than 500 scientific publications and 600 abstracts and astronomical circulars, are among the most highly cited in the world. Science magazine credited two international teams of astronomers (on which he was the only coauthor contributing to both teams) with the top "Science Breakthrough of 1998" for research on exploding stars (supernovae), which shows that the universe is expanding at an accelerating rate, propelled by mysterious "dark energy." Professor Filippenko received a share of the 2007 Gruber Cosmology Prize for this discovery, work that went on to receive the 2011 Nobel Prize in Physics. Professor Filippenko also leads the world's most successful robotic search for exploding stars. Dr. Filippenko was elected in 2009 to the National Academy of Sciences, one of the highest honors accorded to a U.S. scientist. 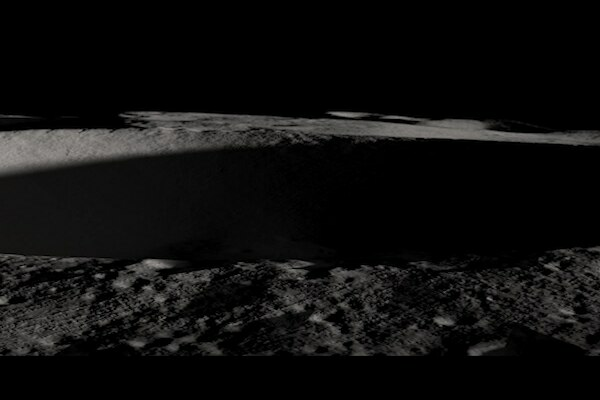 He has also been recognized with several major awards, including the 2010 Richard H. Emmons Award for excellence in the teaching of college-level introductory astronomy for non-science majors from the Astronomical Society of the Pacific, the 2007 Richtmyer Memorial Award of the American Association of Physics Teachers, the 1997 Robert M. Petrie Prize of the Canadian Astronomical Society, and the 1992 Newton Lacy Pierce Prize of the American Astronomical Society. He was a Guggenheim Fellow in 2001 and a Phi Beta Kappa Visiting Scholar in 2002. In 2006, he was honored nationally as the "Outstanding Doctoral and Research Universities Professor of the Year" by the Carnegie Foundation for the Advancement of Teaching and the Council for Advancement and Support of Education. At UC Berkeley, Dr. Filippenko's teaching awards include the Donald S. Noyce Prize for Excellence in Undergraduate Teaching in the Physical Sciences and the Distinguished Teaching Award. He was also voted the Best Professor on Campus nine times in student polls.\r\n\r\nDr. Filippenko is coauthor of The Cosmos: Astronomy in the New Millennium, now in its 4th edition (2013), and winner of the 2001 Texty Excellence Award for best new textbook in the physical sciences. He has played a prominent role in numerous television documentaries, including about 40 episodes spanning six seasons of The Universe on The History Channel. Dr. Stephen Ressler is Professor Emeritus from the United States Military Academy at West Point and a Distinguished Member of the American Society of Civil Engineers (ASCE). A registered Professional Engineer in Virginia, he earned a B.S. from West Point and an M.S. and a Ph.D. in Civil Engineering from Lehigh University, as well as a Master of Strategic Studies from the U.S. Army War College. Professor Ressler's papers on engineering education have won seven Best Paper awards from the American Society for Engineering Education (ASEE). Professor Ressler has also won numerous awards from the ASCE, including the President's Medal and the 2011 Outstanding Projects and Leaders Award-the organization's highest award. His other accolades include the Bliss Medal for Outstanding Contributions to Engineering Education from the Society of American Military Engineers and the Norm Augustine Award for Outstanding Achievement in Engineering Communications from the American Association of Engineering Societies. Professor Ressler served for 34 years as a commissioned officer in the U.S. Army Corps of Engineers and retired at the rank of Brigadier General in 2013. While on active duty, he served in a variety of military engineering assignments around the world. He is also a developer and principal instructor for the Excellence in Civil Engineering Education Teaching Workshop, which has trained more than 500 civil engineering faculty members from more than 200 colleges and universities. Dr. Indre Viskontas is a Cognitive Neuroscience Affiliate with the Memory and Aging Center at the University of California, San Francisco, where she has studied the emergence of creativity in patients with dementia. In addition, she is a member of the collegiate faculty at the San Francisco Conservatory of Music, where she is pioneering the application of neuroscience to musical training. She earned an M.M. in Vocal Performance from the San Francisco Conservatory of Music and a Ph.D. in Cognitive Neuroscience from the University of California, Los Angeles. In recognition of her teaching and research, she has received numerous awards and honors, including the prestigious Laird Cermak Award from the Memory Disorders Research Society; the Charles and Sue Young Award for being one of the top graduate students at UCLA; and several fellowships. Professor Viskontas has published more than 35 articles and chapters in top scientific journals, including the Journal of Neuroscience and the Proceedings of the National Academy of Sciences. Her dissertation, recognized as the best of her class, was a finalist for the Dissertation Prize from the New York Academy of Sciences. An editor of the journal Neurocase, Professor Viskontas also hosted the television series Miracle Detectives, which aired on the Oprah Winfrey Network. She currently cohosts the popular science podcast Inquiring Minds. Dr. Jeanette Norden is a neuroscientist, Professor of Cell and Developmental Biology in the School of Medicine, and Professor of Neurosciences in the College of Arts and Sciences at Vanderbilt University. She earned her Ph.D. in Psychology, with training in Neurobiology and Clinical Neurology, from Vanderbilt University. She completed postdoctoral training at Duke University, the National Institute for Medical Research in London, and Vanderbilt School of Medicine. Professor Norden is also the Director of Medical Education in the Department of Cell and Developmental Biology at Vanderbilt School of Medicine. Her innovative approach in integrating 'humanity' into basic science courses has been recognized at Vanderbilt and nationally. Dr. Norden has twice won the Shovel Award, given by the graduating class to the faculty member who has had the most positive influence on them in their four years of medical school. She has received several other teaching awards, including the Jack Davies Award for teaching excellence in the basic sciences, the Outstanding Teacher of the Year Award, and the Robert J. Glaser Distinguished Teacher Award from the Alpha Omega Alpha Medical Honor Society and the Association of American Medical Colleges. She was the first recipient of both the Teaching Excellence Award given by the Vanderbilt University School of Medicine and the University Chair of Teaching Excellence at Vanderbilt. Professor Sean Carroll is a Senior Research Associate in Physics at the California Institute of Technology. He earned his undergraduate degree from Villanova University and his Ph.D. in Astrophysics from Harvard in 1993. Before arriving at Caltech, Professor Carroll taught in the Physics Department and the Enrico Fermi Institute at the University of Chicago, and did postdoctoral research at the Massachusetts Institute of Technology and at the Institute for Theoretical Physics at the University of California, Santa Barbara. Professor Carroll is the author of Spacetime and Geometry: An Introduction to General Relativity, published in 2003. He has taught more than 200 scientific seminars and colloquia and given more than 50 educational and popular talks. In addition, he has written for numerous publications including Nature, New Scientist, The American Scientist, and Physics Today. Professor Carroll has received research grants from NASA, the U.S. Department of Energy, and the National Science Foundation, as well as fellowships from the Sloan and Packard foundations. He has been the Malmstrom Lecturer at Hamline University, the Resnick Lecturer at Rensselaer Polytechnic Institute, and a National Science Foundation Distinguished Lecturer. While at MIT, Carroll won the Graduate Student Council Teaching Award for his course on general relativity. In 2006 he received the Arts and Sciences Alumni Medallion from Villanova University. Explore History, Travel, Languages, Math, Cooking, And So Much More!